Families interested in enrolling their children at Loyola are encouraged to book a School Tour through our Community Liaison and contact the College Registrar for any further information about the College. Enrolment applications for 2020 Year 7 closed on Friday 17 August 2018, while for 2021, Year 7 enrolments close on Friday 23 August 2019. Enrolments applications for other year levels, including those for international students, are accepted throughout the year. Loyola College welcomes enquiries and enrolment applications from International students. As an Ignatian school we share a global perspective and welcome students from other countries to study at the College and contribute actively in the life of Loyola. The College offers a rich educational experience and values the benefits that Intercultural exchanges can offer. 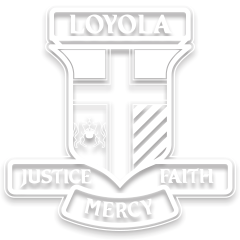 For more information about opportunities provided by Loyola College, please contact the Community Liaison (E: CommunityLiaison@loyola.vic.edu.au, T: +61 3 9433 0228).